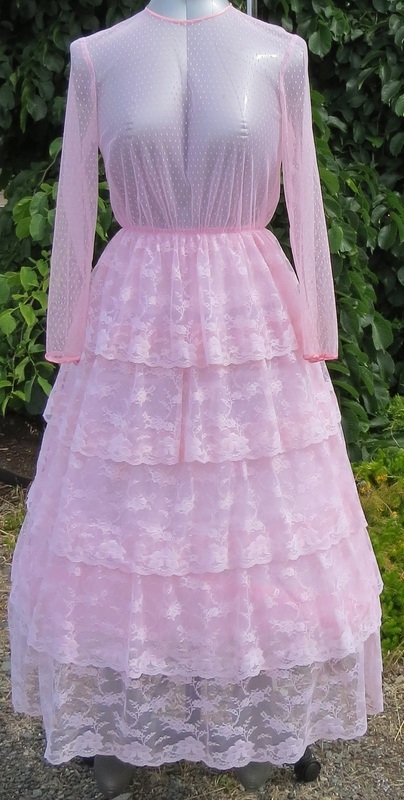 1960s 3; lace pastels. A pair of bridesmaid's dresses, said to be 1960s, in rose and lavender. Could be worn with a sash, as shown for one, or with belts (have belt loops). 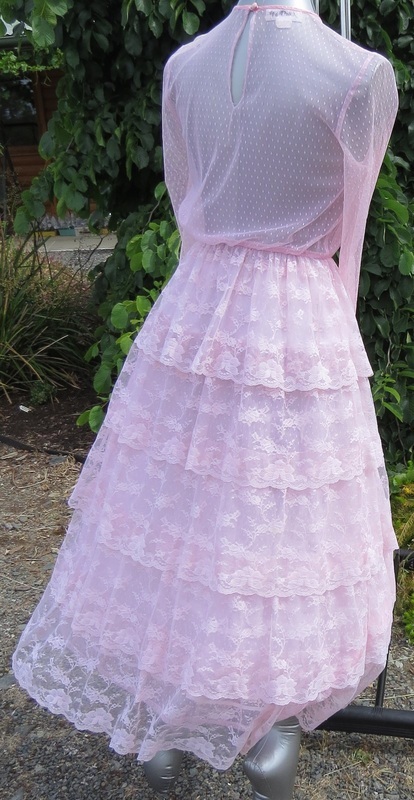 Sheer bodice and sleeves, tiered polyester lace skirt. Loose around the bust; the waist is elasticated. Purchase of pair $100. 6011 Size 10 Mannequin B 90, W 67cm. 6012 Size 12. Photo graphed over a crinoline (not included in costs). Photo on a windy day.